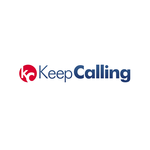 Senior PHP Back-End Developer, KeepCalling - Aplica pe eJobs! KeepCalling is looking for a new Senior PHP Back-End Developer, so if you can master the power of PHP & SQL you belong with our savvy IT team in our Sibiu office. Linux and Networking knowledge is a plus.